Take care of our local residents and non-resident property owners. Provide an environment that allows all our businesses to thrive. 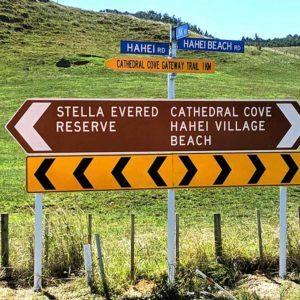 Given that Hahei is an end destination i.e one road in, has limited space, and a rapidly growing visitor numbers, finding a solution that works for everyone is a huge challenge. Over the last few years, the Hahei Residents and Ratepayers Association has done its best to focus TCDC’s attention on the problem. TCDC has taken up the challenge and is working with all interested parties to find solutions. We are very grateful to elected members and staff of TCDC for their thoughtful responses. We are committed to a consensus driven democratic approach to the development of better tourist management, We provide updates in numerous newsletters and have facilitated local discussions to ensure that residents, business owners and our non-resident property owners are informed of developments. We depend on your active participation to help us find the best solution. Please feel free to volunteer to join our Traffic Management Committee. Our goal is quite simple – work with everyone to develop a consensus that works for everyone. A huge challenge! One of the key challenges is to determine how we respond to the seasonal nature of visitor and traffic numbers in Hahei. Historically, people came to Hahei in summer for a week or so when the weather was good. But the seasons are extending. For instance, the busiest days in 2018 so far at the Visitor Car Park, were over Easter. Should we ignore traffic congestion over the busy periods and only invest in infrastructure to cope with the average volume of traffic? Should we invest to future proof Hahei or simply wait until traffic is so bad we must act? 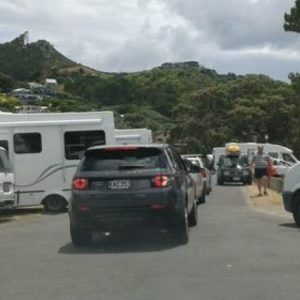 How do we respond to the needs of our bach owners who only come to Hahei during the busy periods – is it reasonable for them to just accept traffic congestion? On this page and the links below we provide a little history, and all the data we have been able to assemble. Safety – Traffic movements must be controlled to reduce health and safety risks. Our community has enjoyed a relatively peaceful safe environment for many years and it is basic right that this is maintained. Flexibility – Whatever is implemented must be flexible, easy to adjust as conditions change. It is extremely difficult to know all the consequences of implementing traffic management plans. Community Support – Traffic management systems must have the support of the majority of the residents and ratepayers. This includes, residents, non-resident ratepayers, and business owners. For many years, tourism and traffic in Hahei was not an issue. Visitors parked where they wanted, the Grange Road Car park was a gravel parking area with a pine tree in the middle. Children could ride their bikes safely throughout Hahei. In 2013 TCDC leadership decided that we needed more tourists and proposed constructing a coastal walkway from Hot Water Beach to Whitianga via Hahei and Cathedral Cove. Details can be found here. 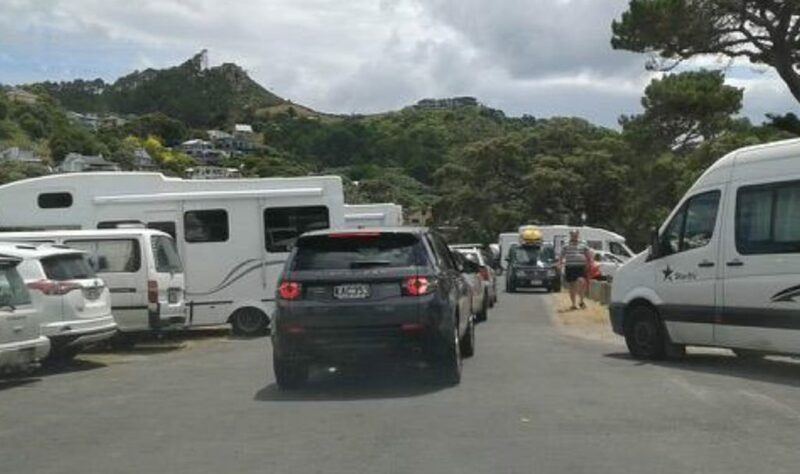 While the concept of the Walk sounded great, South Mercury Bay residents were concerned that bringing more tourists to a busy destination would overcrowd the region. TCDC recognised this and agreed to address infrastructure in the area. A new sewage system in Hahei is included in the 2018 – 28 Long Term Plan, and additional parking facilities will be built. To understand parking needs for South Mercury Bay, TCDC commissioned traffic consultants, MWH to prepare a traffic report. You can download the April 2016 report here.Mercury Bay Peak Summer Assessment Web. This report forecast that Hahei would need car parking for 1075 vehicles by 2021. See section 6.4. The following car parks are proposed. 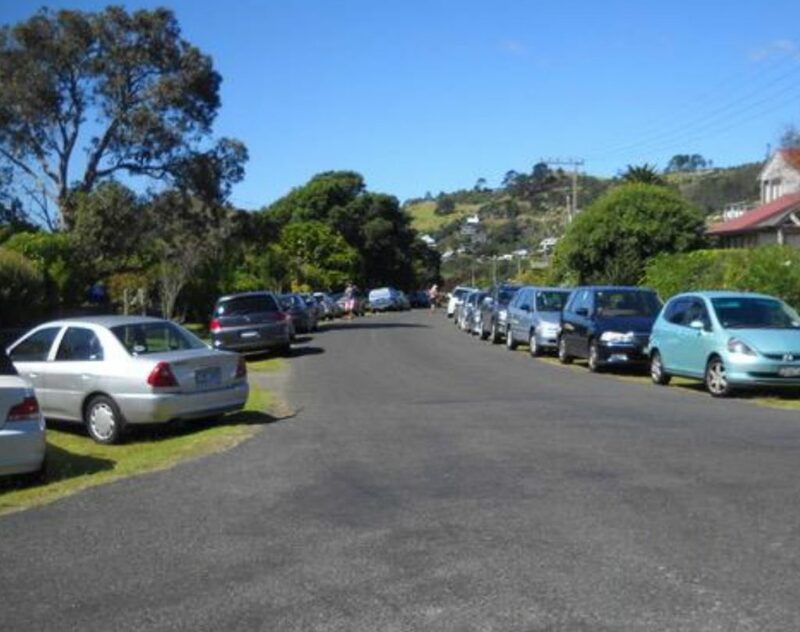 2016: Expand the Hahei Village Entrance Car Park to provide 200 spaces. 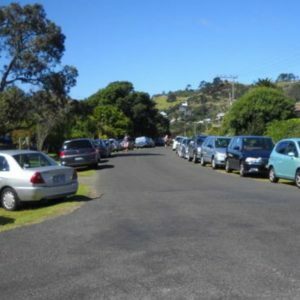 2018: Expand the Hahei Village Entrance Car Park to the proposed 200 spaces. In summary, the MWH report recommended a total of 1050 car park spaces by 2019/2020. Since the report was prepared, tourist numbers has grown significantly faster than forecast. For instance, the report assumed that the annual Cathedral Cove visitors would be to be 400,000 by 2026. The most recent numbers from DOC is that there were 320,000 visitors to Cathedral Cove for the year ending June 2018. Also, it seem likely that the proposed Lees Road Car Park will be developed privately on a much smaller scale. 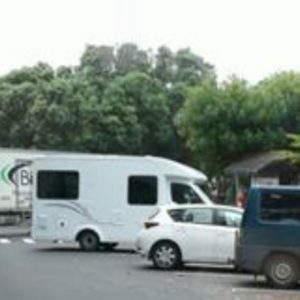 Where will these vehicles park? From time to time, TCDC undertakes population surveys to help in infrastructure planning. You can read the 2016/17 survey here. TCDC arranged for traffic counters to be installed over summer holidays 2018/19. You can see a comparison of traffic numbers here. Traffic Counts 2017 To 2019. 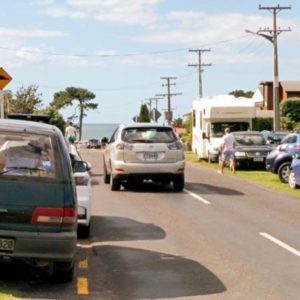 In April 2017, the Mayor at a public meeting in Hahei challenged the Community to come up with a plan to manage increasing visitor numbers that the majority of the Community would support. Otherwise it was indicated the council would come up with their own plan. Based on the survey, HR&RA made a short presentation to TCDC Council Meeting. You can read the presentation here.Council Meeting 2018 6 26 Hahei Presentation. 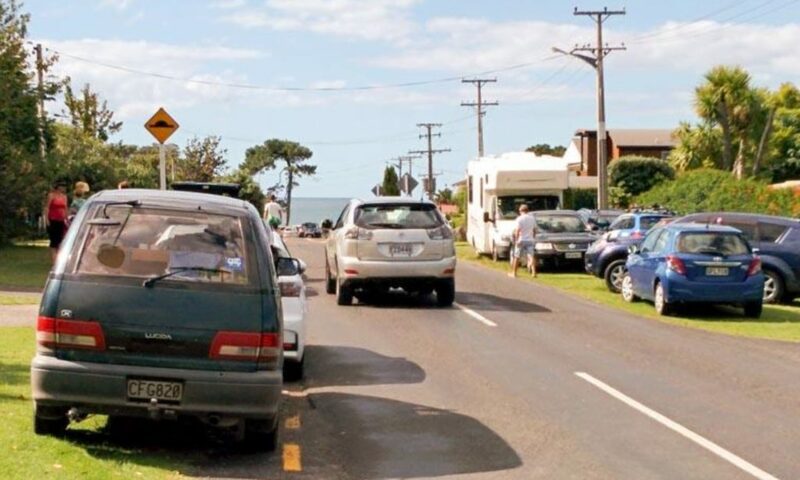 With the opening of the Car Park in Lees Road, it was decided that new signs were needed at the intersection of Link Road, Hahei Beach Road and Hahei Road. 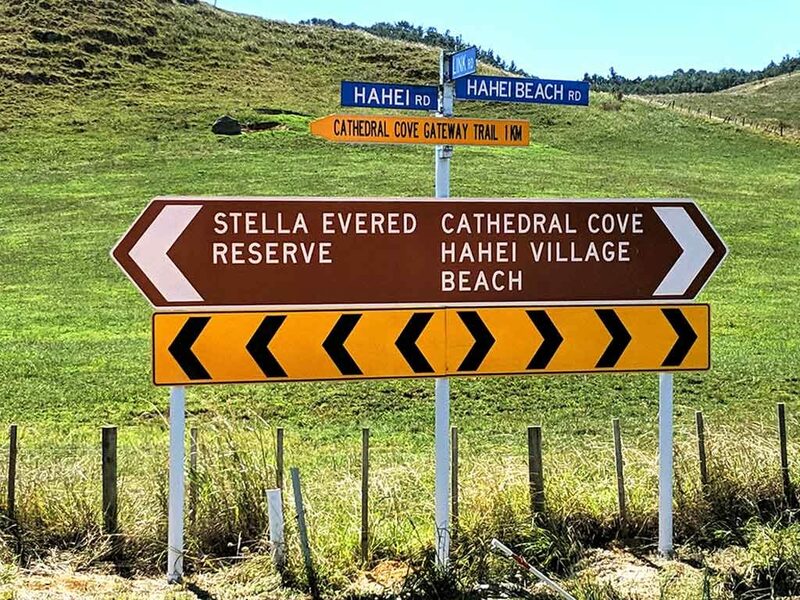 After extensive consultation between TCDC and the Hahei Business Association, the current signs were installed recently.